Same as SL210 with 3-stage FRONT and REAR arms. Conventional SmartLift with Two Plunger, Side by Side, Fully Contained, Electric-Hydraulic Operation. 208-230 Volt, Single Phase Power Unit. 3-stage FRONT and REAR arms. The NEW 3-stage arms allow for an increase in overall arm sweep and minimum arm reach to precisely lift vehicles that are: Primarily Uni-body construction. Visually marked OE designated pick-up pointson the vehicle. Wider stance and lower profile. Accommodates short and long wheelbase vehicles. For use with frame vehicles. Also order FJ6197. 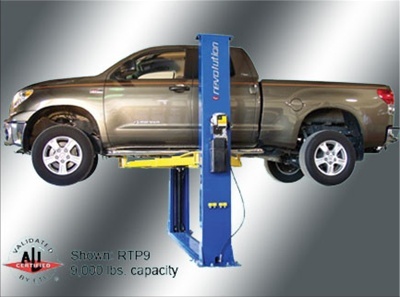 Rotary Two-Post 10,000lbs.-Capacity Inground Electric Hydraulic Lift – This inbay®, drive-thru SmartLift is fully self-contained with 8-1/2" plungers and features Rotary's LDS Liquid Detection and Alert System with integrated air, OSHA-compliant lockable disconnect, and one-touch lock release. This product features air-operated, multi-position safety locks, three-position flip-up adapters for quick positioning on a variety of pick-up points, and a 208-230V, single phase power unit. 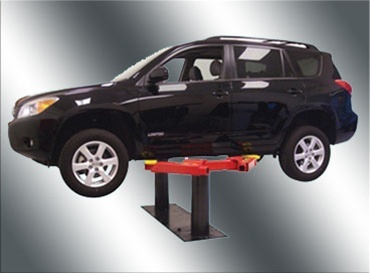 Overall lift rise is 81-1/2”, with a recommended bay size of 11' x 24'. **RISE 76 7/8" (1953 mm). CAPACITY 10,000 lbs. (4536 kg). 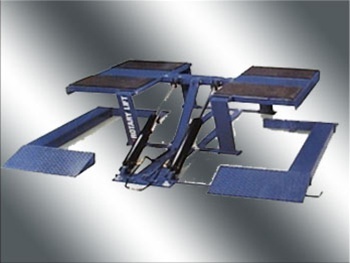 **NOTE: Lift Rise Is Measured From Floor To Top Of Either Pad, Runway, Or Adapter In The Highest Position, Except For SmartLift In Which Rise Indicates Plunger Stroke From Finished Floor. 208-230V, single phase power unit. 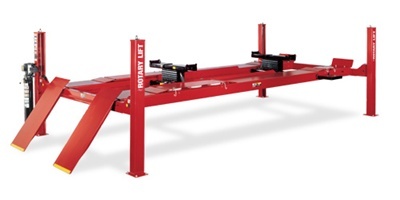 Overall lift rise is 81-1/2”, with a recommended bay size of 11' x 24'. 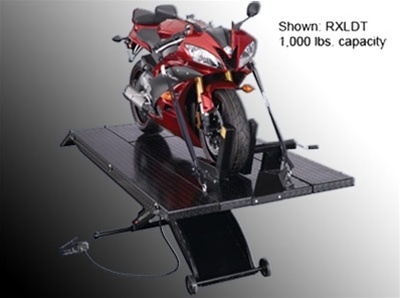 Be the first to review “Rotary SL210RA SMART LIFT TWO POST IN GROUND 10000 LB RA ARMS” Click here to cancel reply.